Sew Can Do: Space Princess Hairdo Hat News & A Giveaway! Space Princess Hairdo Hat News & A Giveaway! I have been so thrilled at the positive response to my Space Princess Hairdo Hat! Not only has it made the feature rounds on many of my favorite craft blogs, but it's now getting featured all over international, gaming & Star Wars fan blogs too, which is a real honor. What started as just a little fun hat idea for my baby girl is now keeping me busy with making custom Space Princess Hats on Etsy so more babies can rock the look for themselves. So a huge thank you to everyone who has commented, featured or purchased my hat. You make a crafter feel proud! Many people have also asked if I could do a tutorial on making them, so after much work, the Space Princess Hairdo Hat PDF Pattern is now available in my Etsy shop, for those who want to make their own. Detailed, full color pictures & instructions on how to make it in several baby sizes. Fun for everyday wear, Halloween or as the ideal winter hat (those buns double as awesome, built-in ear muffs!). The giveaway will be open until 11:59PM EST August 15, 2010. I will announce the winners on August 17, 2010. Good luck! You are in no way a meanie! A girl's gotta support her crafting habit by any means possible. It's very thoughtful of you to offer a giveaway - and congratulations on the success of your creation! How warm and fuzzy that must make you feel. 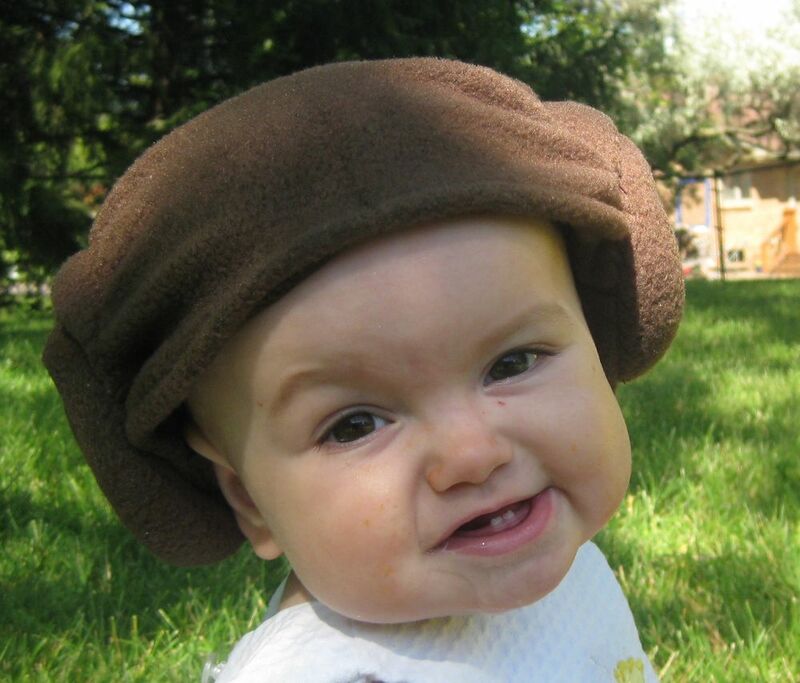 My husband would be in heaven if our baby wore that Leia hat. I am going to have to try those DIY tootsie rolls. Love love love the Leia hat, baby due in less than 12 weeks so if I don't win will def purchase the pattern on etsy! Thanks a mill for the moses basket tutorial too. I've just found the perfect fabric to redo the moses basket I had when I was a baby. Fingers crossed it looks even half as good as yours! oh my gosh how cute this is... i also like the Fabric Garden. I love the Fabric Garden! We used the felt treasure map idea for birthday party invites! Everyone just loved it! You're a favorite shop on etsy! I'm a face book fan! I also mentioned the give away with a link on facebook! I'm also loving the Yoda hat in your etsy shop! We dressed our oldest up in a homemade Yoda costume for her first Halloween. What an absolutely adorable hat! I love your felt playhouse too! I added your etsy store to my favorites! Oh my goodness I love it. I want to make like a million of them. Do they come in adult size? My favourite project is the quiet book, absolutely lovely!! Hope I win this Leia hat, it's wonderful!! Became a fan on FB. I can't believe I make this for my little girl she gets older. Our wonderful Star Wars-obsessed friends just had a baby and we're competing for the title of "Best Baby Gift Givers" (haha). 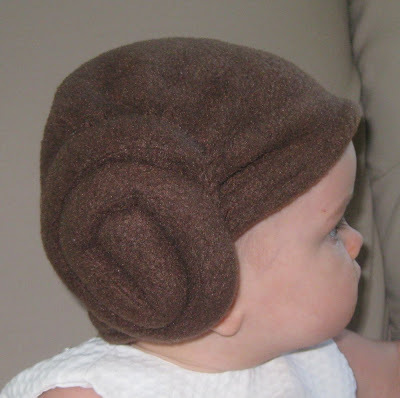 But seriously, they do love Star Wars and would love, love, love this hat for their little girl! Just became a follower. Can't believe I hadn't already done that... I stalk your blog all the time! My little Lila would be beautiful in that hat! I would love to make her one for Halloween. I think the fabric garden is so cute!